Sea kayaking Nova Scotia’s diverse shoreline is easy right at Fox Harb’r Resort. 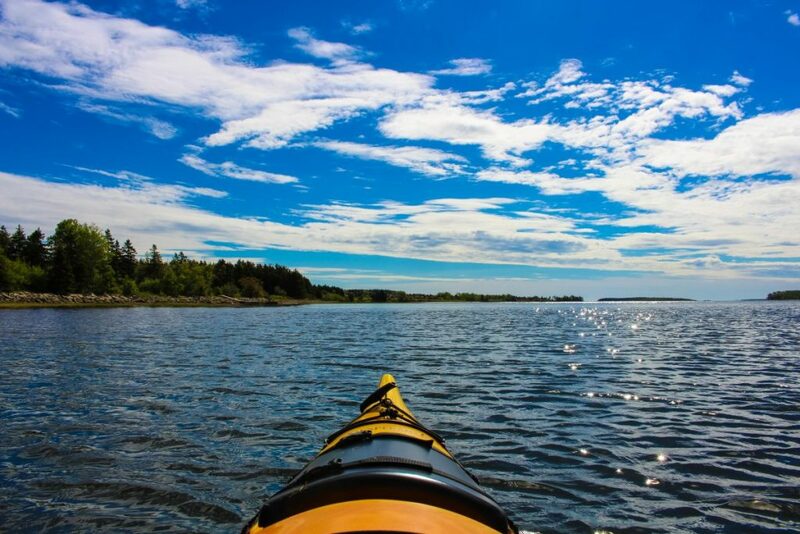 Paddling a kayak along the Northumberland Shore coastline, you can easily get close to scenic views, photo opportunities, birds and more. Sea kayaking is also one of the best ways to experience a spectacular Nova Scotia sunset. Calm, protected Fox Harbour Bay allows for kayaking within 100 feet of shore without entering deep water, making Fox Harb’r an ideal destination for novice kayakers as well as more experienced paddlers. Single, tandem and junior sit-in kayaks, as well as kayak tour guide services, are all available to rent as a Fox Harb’r guest or member. NEW FOR 2018 SEASON: Stand-up Paddle and Pedal Boarding, “SUP” with Hobie equipment.